Hey there! It's Tammy C. here with my first challenge since joining this talented group of ladies at Use Your Stuff. This week I challenge you to break into those scraps. There are so many things you can use those little bits for... punch art, fun borders, altered art, fun backgrounds, mini albums and so much more! I hope you will play along with us this week. My project this week is a fun little card using up my paper strips and some die-cuts I had in my stash from previous play time. You can check out the details and some close-ups on my blog. Don't forget to stop by our Team's blogs to get more details and leave some love! We love to read your comments. When you get to the bottom of this post, you will see the little linky to add your own project. I used some background I stenciled a while ago, cut a tag and colored it with distress ink. I stamped with Rubber Dance Stamps some large and small circles. 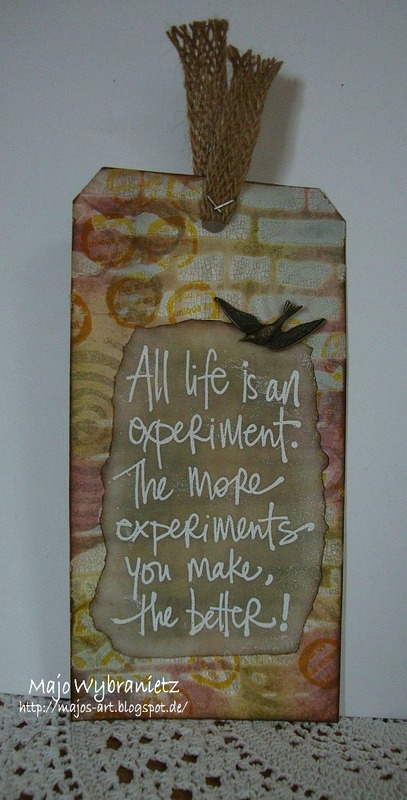 The beautiful sentiment is from Darkroom Door Stamps, which I had stamped on vellum. I absolutely love to dive into my scraps to create all sorts of things. Embellishment clusters, layering pieces, and extra details are some of my favorite ways to use up that ever-growing pile of scraps. 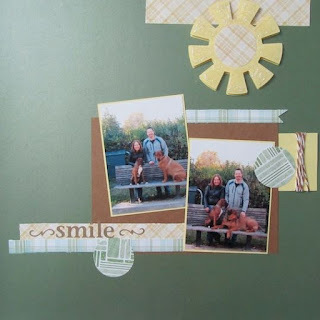 For this layout, I used a scrap of woodgrain paper to create the banner shelf at the bottom and pulled out several scraps that were added into the photo mat layers. 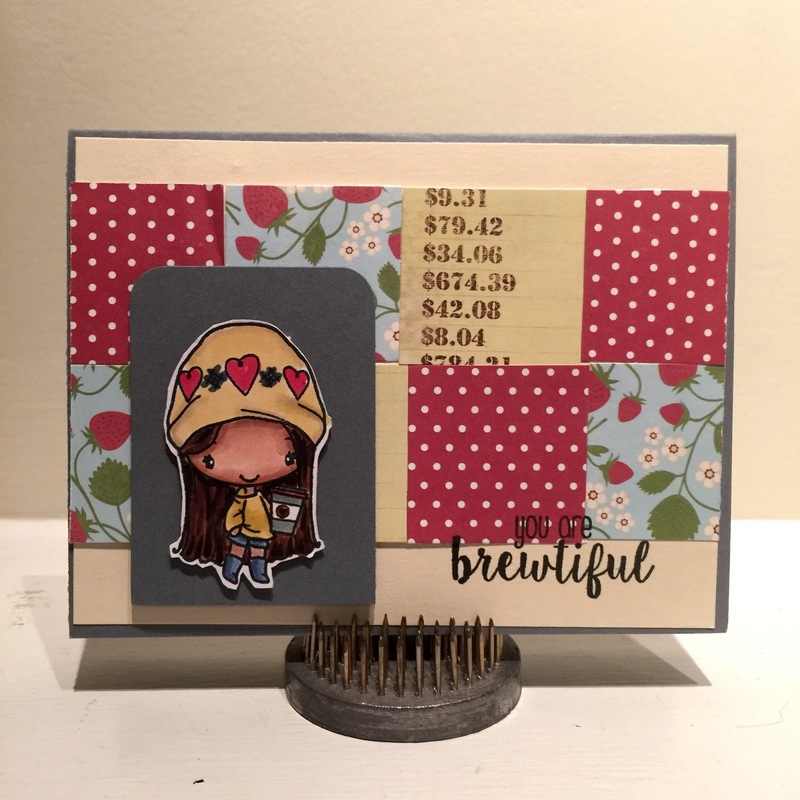 There are so many options for using scraps, I can't wait to see what you create! I love designer or decorated papers and made this card was very easy. I used scraps from different collections from Quick Quotes Scrapbook Company one of my favorites brands. These paper are 12"x12" and double sided and combine perfectly with the PowderPuff Chalk Ink. 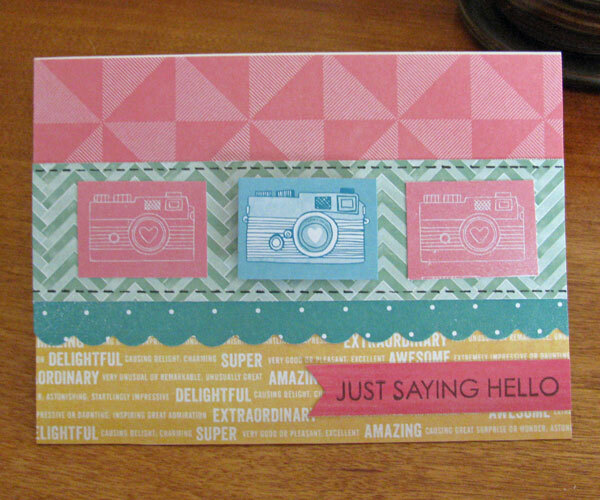 I had some left-over scraps from a 6x6 paper pad from American Crafts: Amy Tangerine - Yes, Please, that I used in this card. For today's challenge, I use 3 scrap patterned papers to create a background for my card. I also stamped my stamp on scrap cardstock before coloring and cutting her out. It's been so long since I've joined in any "use what you have" challenges. It's about time I get back in the swing of things again.